Active@ UNDELETE is an advanced data recovery tool designed to recover data lost or deleted data, or even information from formatted hard disks. In most used cases, files needs to be recovered from existing disk volumes (logical drives) after accidental deletion or due to software malfunction. A Logical Drive scan result appears in the Work with logical drive scan results on page 16 where results can be reviewed and files selected for recovery. Files also can be organized in groups before actual recovery by using File Organizer tool. 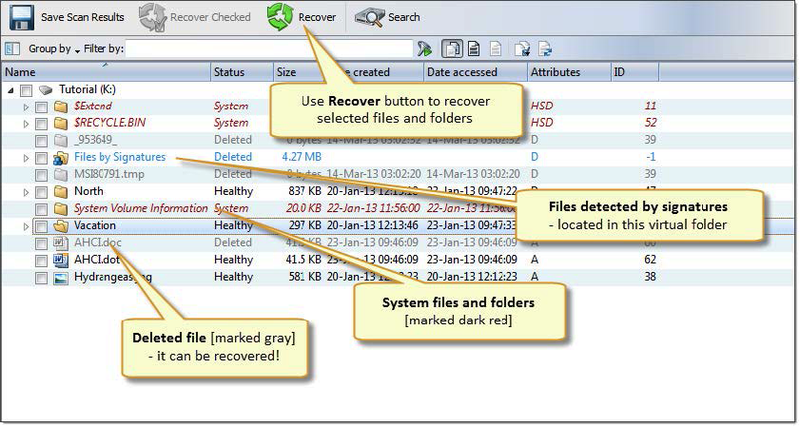 For more information about file recovery options read: Recover detected files. Repeat steps 1-3 for different volumes using different scan attributes for better results if necessary.